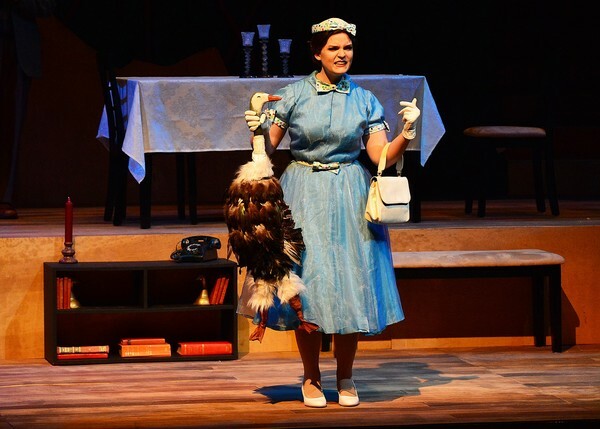 NACOGDOCHES, Texas - Huffman junior theatre student Sidney Lowell plays the role of Babette in the Stephen F. Austin State University School of Theatre's presentation of Max Frisch's play "(Biedermann and) The Firebugs." Curtain goes up at 7:30 nightly through Saturday, March 3, in the W.M. Turner Auditorium on the SFA campus. For tickets or more information, call the SFA Fine Arts Box Office at (936) 468-6407 or visit www.theatre.sfasu.edu. Single tickets are $15 for adults, $10 for seniors and $7.50 for students/youth.